Vizag is an industrial centre of Andhra Pradesh. Being the industrial centre, it's not away from the technological advancement and impact of startups. Instead people are willing to adopt new technology and so chance of new startups coming to the market is even more. Here we have compiled the list of Vizag startups that are functioning and achieving new heights. We have also covered startups from Delhi, Goa and other major cities of India. Brilliance Tech Sols (P) Ltd.
Brilliance Tech Sols(P) Ltd. was founded in 2012. It guides people through latest technology and tools that are required for business growth. This startup in Vizag has a team of marketing experts and a highly innovative team that provides consultation to their clients. Advoge is the first choice solution of content brewers for monetization by acting as a facilitator & aggregator between Merchants, Affiliates and Ad Promoters and thereby create a massive revenue stream for the content brewers and themselves. The company aims to expand itself outside the city and the state and become known country-wide. We hope this startup in Vizag will be able to prosper and reach great heights. 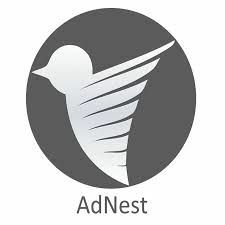 Adnest is an online platform that allows offline stores to promote themselves online. It is done through the customer network that it presents online. It also offers discounts to customers who like to touch and feel the product before it makes its way. Kalpah Innovations Private Limited is a private incorporated on 31 March 2015. It is officially registered as a Non-govt company and is registered at Registrar of Companies, Hyderabad. Its authorized share capital is Rs. 100,000 and its paid-up capital is Rs. 100,000. 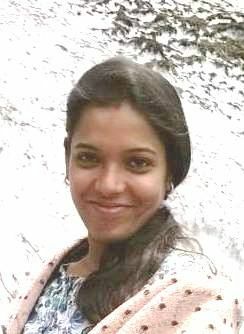 Directors of Kalpah Innovations Private Limited are Malla Udaya Bhaskar and Boddeti Madhuri Satya. Gopi Bulusu, the founder of NextTrade, is offering mutual fund managers, HNIs and traders insights into the global stock market trends thereby allowing the customers to pick up a time to purchase and time for the sale of the product. The idea is to increase its presence in the state then spread nation-wide. TheVizag based startup offers services on mobile, e-mail based on subscription and application. Struck is a smart city online and offline resources to find the best in town and deals in sales, offer through online chat with customers and the customers can place their order through Struck online. It works with smart city vendors, sellers, artists, designers etc. This online venture celebrated the change and expansion the city has gone through in the last decade and aims to promote ventures in the city through this online platform. This approach will focus on online sales and include offline sales. This will serve to raise awareness of shoppers online and offline about the city’s reputation as a ‘Shopping Heaven’, as well as effectively promoting the city’s shopping infrastructure. Struck, can place an order on an e-commerce portal and process the order for you. Absolin was founded in 2014 and now has more than 50 employees. It is a software services provider company which has skills and expertise to facilitate complex business solutions. This startup in Vizag offers services of entire software, web development, Content Management Solutions and Creative Design from the very beginning until the end. Akash Sinha is the director of Wellness Hub and was founded in 2012. Wellness Hub is completely focused on helping people achieve optimal wellness through proper diet, exercise, sleep routines, stress management, and many more. It bridges the gap between therapists and clients. This startup in Vizag wishes to make the process of being counselled as seamless as possible to its clients. Let it be an in-person session at their hubs, a video session or chat therapy using one of their mobile app or a phone session on their official website. Prasanth Kumar Owk is the CEO and founder of Lucidchain. Lucidchain's DigiC platform helps for the issue of smart contracts in private blockchain scenarios. It is full-homomorphic compatible with platform agnostic integration points. GOEFCO is an e-commerce platform providing a huge number of options for construction materials. It provides the user with the best possible choices for a hassle-free construction. It aims at providing a-z of construction. 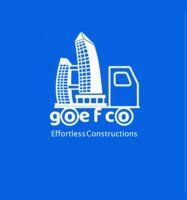 GOEFCO claims to be India's first hyperlocal market in construction. This is our list for successful startups in Vizag. If you know any other startups in Vizag, please let us know in the comments. We would love to feature them in the list of vizag startups.